Our Woods team continue their meticulous work on the Tyne Pedestrian and Cyclist Tunnels in Newcastle. Steeped in history, this distinctive Grade II listed structure features some of the most unique and beautiful examples of mechanical engineering and architecture. 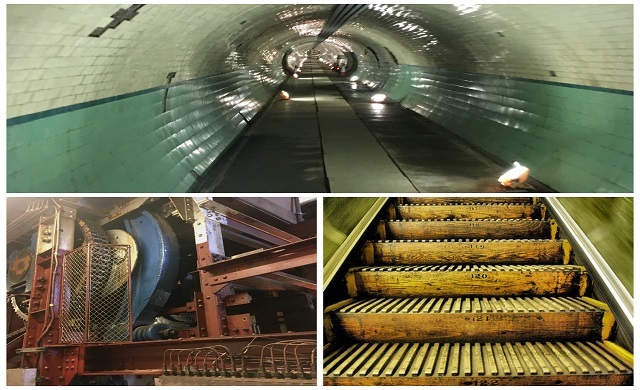 Here we see pictures of the tunnel itself, one of the original wooden-step Waygood-Otis escalators and part of the actual escalator mechanics.